as the accounts are registered personally by us and transferred to one person. Gift can be activated in the countries: Russia, Ukraine, Armenia, Azerbaijan, Belarus, Georgia, Kyrgyzstan, Kazakhstan, Moldova, Republic of Moldova, Tajikistan, Turkmenistan, Uzbekistan. 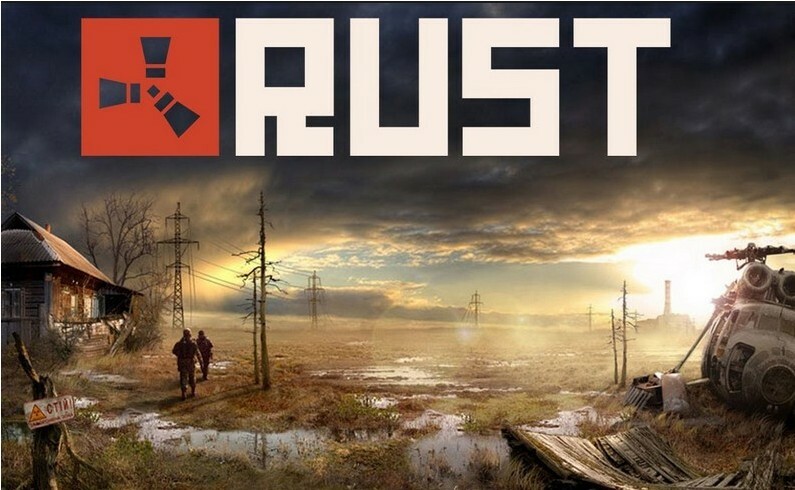 Rust is a multiplayer survival game from indie studio Facepunch, previously created by Garry´s Mod. The game combines some ideas from DayZ, Minecraft, S.T.A.L.K.E.R . : The Shadow of Chernobyl. Additional information: During the game takes players production of various resources, such as food, animal skins, boards. In addition to the starter kit, any items in the game need to be produced, created from the extracted or obtained from other players. For example, the board can be extracted by acting or stone ax to the trees and paint the resulting material, and the meat - the killing of animals. To survive, the player has to fight against hunger, cold temperatures, the attacks of wild animals or people, as well as to avoid radiation. The game has a developed system of creating objects (weapons, clothing, and buildings), known as kraft, or crafting a bit similar to Minecraft games and 7 Days to Die (Eng.) Russian .. Initially, the player is available only about a dozen simple "recipes" craft (English . blueprint - drawing), new recipes can be obtained by killing animals and other characters, or picking from boxes items, a rare chests or dropped from an aircraft huge green containers (called AirDrop, they can find weapons, modifications to weapons, ammunition, paper ). Among the items can be set to detect Research ( «Research kit»), with which it is possible to study the existing items, for which the player has not yet been known relevant prescriptions. The game motivates players to form groups within which there is division of responsibilities. Developers are not deliberately introduced into the game of any origin, the map view, or items for orientation (eg, compass) to the complexity of the gameplay. KEYS TO ORDER A GIFT is not sent !!!!! 3. The link received after purchase, it is necessary to copy and paste into your Internet browser, log in under your Steam account and take the gift to your LIBRARY. Отличный товар, быстро все сделано, хоть я и накосячил, продавец быстро смог мне помочь, спасибо! Рекомендую!! !